Officers of the Indian defence forces viz. Army, Navy and Air Force have it tough, whether it is physical exertion, mental stress, postings at difficult locations or assignments. Till few years ago, whenever the officers travelled on temporary duty or short assignment, they stayed in shabby guestrooms (sometimes shared) or some even stayed with their acquaintances. It was only from 2011 onwards that few hotel chains started offering concessions / discounted packages to the officers. This initiative was indeed appreciated by all officers. 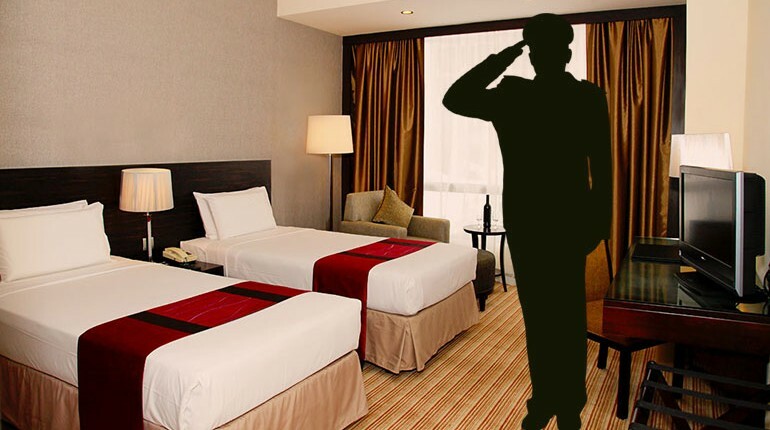 In the United States, almost all hotel chains and resorts offer discounted rates to serving and retired military personnel – yes even for the personnel other than officer rank. In this post, I have listed hotels at different places in India that offer special hotel rates for Indian Defence Officers. Please note that I have included only 4 and 5-Star properties. If you are a defence officer and would like to add (or even delete) hotels, just fill in the comment form and I will keep updating the list. If you are a hotel representative and would like to add your property, you are welcome too! The base package is of course room + breakfast. However, almost all of them offer room + breakfast + one major meal. Some go the whole hog by offering all meals, airport transfers, free wifi, ltd pieces of laundry and more. You should check and compare with the hotels before booking with them. Yes, do check with online hotel aggregators like http://trivago.in, http://tripadvisor.in etc to do a quick comparison. In most cases, you will get a better value (note I did not say, better price) with the military discount. If you are a big family requiring multiple rooms, or have a limited budget or are on a foreign vacation, hotel aggregators are the way to go. So here is the list in alphabetical order of cities. Almost all of these hotels offer breakfast inclusive rates, some offer AP (American Plan i.e. package includes Breakfast, Lunch & Dinner) or MAP (Modified American Plan i.e. 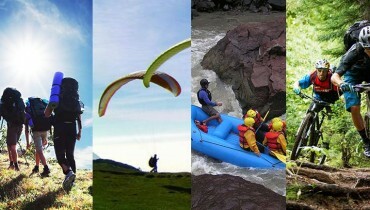 package includes Breakfast & one major meal – Lunch or Dinner). In addition, if the officer is on duty, some hotels also provide additional facilities like pick-up & drop, ironing / laundry, free wi-fi etc. You may like to check with the concerned property about the availability and rates / packages. And yes, please do carry your military ID for your own good – the hotels have right to refuse accommodation if you don’t prove your identity. Do you want to add / update a property if you have been to those, just let me know in the comments and I will do the needful, which implies that this list will keep changing. Please do share it with your friends from Indian Army, Navy and Air Force. Please add Hotel Radisson Blu at sector 13 Dwarka Delhi. They are offering TD rates. It’s a great compilation by the author and I am sure all defence personnel will benefit. I had an issue with lemon tree premier inn Delhi which has no rooms available, though it was not true,,,I had to make reservation with pride plaza aero city. Has the same experience with lemon tree Bangalore. Royal orchid Bangalore is good t that their top floor rooms are yet to be renovated,, so go for rooms in I or II floor. I can vouch for their services,,, very good. ITC Kakatiya, Hyderabad may please be added. Is there any hotel in Leh which give concession to army personnel and his dependents? Biggest hurdle is CDA and believe me these days online booking through many web/app offer cheaper rates than MOU rates with hotel. For Defence personnel GP <=6600 , few hotels in colaba manadate to take your DA 1000 bucks also plus they says bring another defence personnel alongwith you. Very funnny…. CDA needs to change their scanning process. most of the taj hotels put up these rates only for advertisement. they probably offer a couple of rooms in each hotel for defence officers. it is better they dont offer if they cant because everytime you call them they only refuse – which juust leaves a bad taste. i have not been able to book a room at the taj in about 10 attempts. so rest is all fiction at work in someone’s mind. It should also be noted that all hotels in Aerocity, Delhi offer discounted rates to Def pers, incl Novotel, Raddison, etc. Availability needs to be checked though. Most of them let spouse free of cost, incl the meal plan. Recently CDA PUNE is not clearing hotel bills as they insist on NAC from Station HQ. there is no way and officer on deputation can contact station headquarter on Army number and the entire process of booking is very tedious without any direct dialling facility or single guest room controlling authority.